The Facebook statistics page gives out certain information that reveals a lot about our social networking craze. An average user has 130 friends. Wow, compare that with your real world ones. That will be a no contest. But what the numbers underscore is that social networking now is as ingrained in our DNA as morning breakfast. The numbers also reflect that Facebook with 400 million active users alone could be responsible for most of it. Facebook controversies haven’t dampened log-ins. We still like to see what’s on our Walls. Where we are getting tagged, and who’s our new Farmville neighbor. Facebook still is like the corner coffee shop…a habit. There are some things on the web that set up a micro-universe all of their own. Think Google, think Twitter, and of course, let’s talk about Facebook. For all true blue Facebook users, it’s also important to know what’s happening on it. 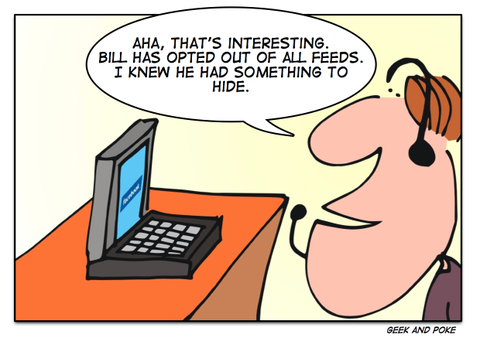 For instance, how are the new privacy modifications going to the affect us? What’s the latest social application that we can plug into on Facebook? Or would it be safe to do that in the first place? Facebook news, views, and opinions help us keep us in the know. Inside Facebook takes a specialized look at the Facebook platform and how it is relevant for developers and marketers. It is a niche site for those interested in innovative ways to use social media. The site came up in 2006, so it also has grown up with Facebook (Facebook was launched in 2004). The site gives you reports, metrics, and insights, on how marketers and social entrepreneurs are ‘exploiting’ Facebook. Two its sections – Inside Social Games and App Data catch the trends of games and applications on Facebook (and other social media). Some sections and downloads are open to paid subscribers only. Again this is a blog that concentrates on Facebook how-tos and news. The blog pages are filed under categories on applications, games, help, tools, tricks, and a few more.